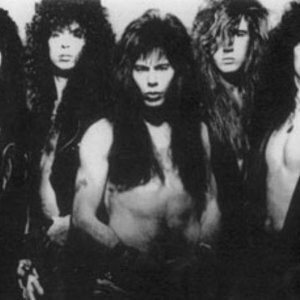 Once upon a time, back in the late 80s, when hairspray was everywhere and leather was the must have accessory of the latter part of the "me" decade, there was this band, called Tour De Force. They were an upstart AOR band with stars in their eyes and some killer material for everyone's ears. TDF recorded a demo and passed it around about the time of the year 1990. Rough as it was, it was good. Not only good, but of killer status, and a few labels were hot to trot to sign the guys and get a real disc out of them. Remember, the airways were still primed for melodic rock. Only the disc the guys packed into the studio to record had little in common with their demos and two years later, in the final days of metal in the mainstream in the last stand against Nirvana in 1992, Tour De Force's self titled bomb squeaked out the door and sank like a rock thrown in the ocean. Never to be seen again as it was carried out to tide. It wasn't terrible, but the words painfully average do come to mind, and the band followed in the path of the album they released by disappearing from existance in a hurry. The band drew comparisions to a slew of acts and by the time you piece them all together, you are still missing a bit of the puzzle. Night Ranger, Prophet, Dokken ("Under Lock and Key" mind you, not that new fangled stuff), the almost forgotten one-offers Red Dawn, the LA stylings of Silent Rage and the smoother double entendre masters Danger Danger, Europe's best kept secret TNT, Jeff Scott Soto's Eyes, and let's throw Journey in 'just because all AOR roads to lead to Journey' or some such nonsense. Chali Cayte is a mixture of many vocalists as well, difficult to pinpoint this one as he runs through several different sounds and ends up as a bit of Jeff Scott Soto and Thomas Vikstrom mixed in, but there's roughness there too that neither of the mentioned singers possess. Its a good mix indeed, but some may find him a bit too dominating for their tastes. Main songwriter Palladino has an ear for catchy rhythms and loads every song up with them, smoothing over the edges for some truly delightful musical samples of AOR brilliance. The grooves are effortless.